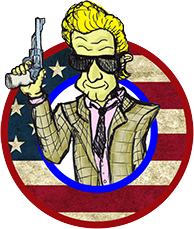 Episode forty two of Sledgecast looks back on the series, its highs and lows, triumphs and disasters. 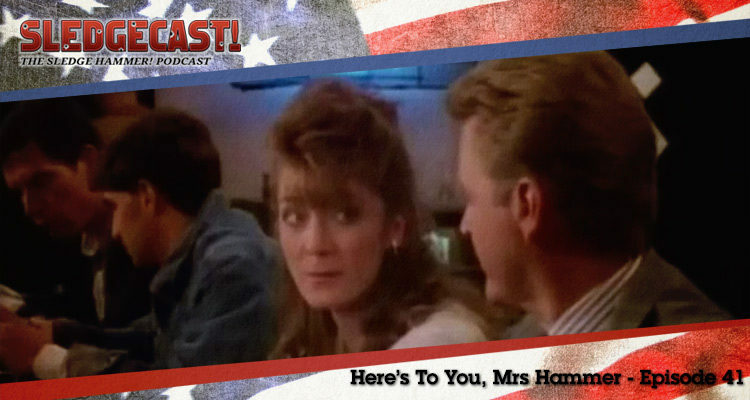 In this podcast Gerry and Iain consider how the show has aged, answer questions submitted by the listeners and cast their eyes forward to future endeavours. The fortieth episode of Sledge Hammer was titled It Happened What Night? and was the eighteenth episode of the show’s second season and the penultimate show of the run. Sledge and Dori are seconded to the Narcotics team to help bust a big drug deal. In this podcast Gerry and Iain look at a forgotten evening. 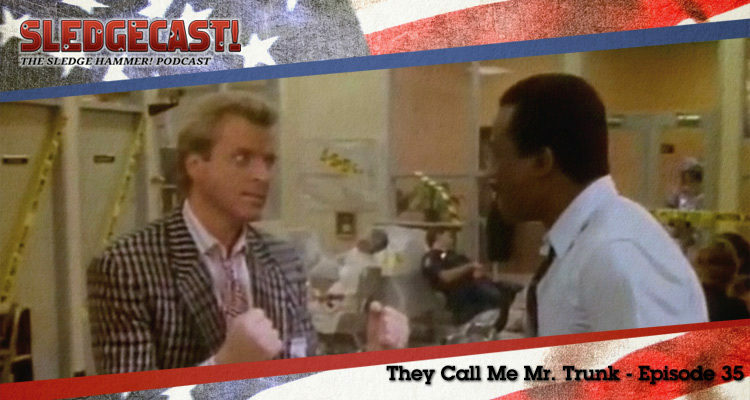 The thirty ninth episode of Sledge Hammer was titled The Secret of My Excess and was the seventeenth episode of the show’s second season. Sledge is assigned a top secret mission by Governor La Chatte. In this podcast Gerry and Iain look at a great backwards thinking man. 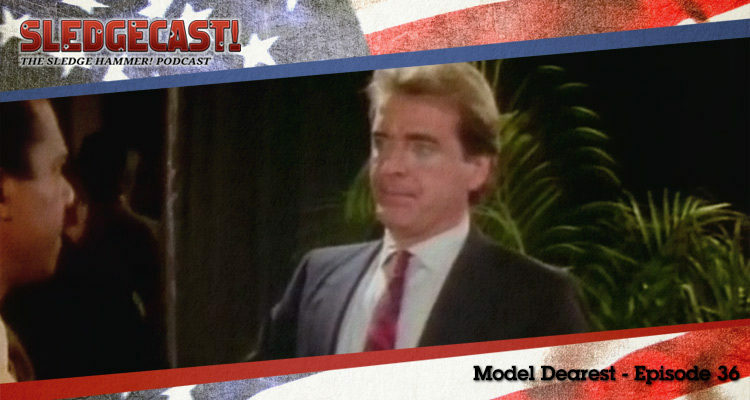 The thirty sixth episode of Sledge Hammer was titled Model Dearest and was the fourteenth episode of the show’s second season. Dori goes undercover without authorisation to try and infiltrate a human trafficking operation. 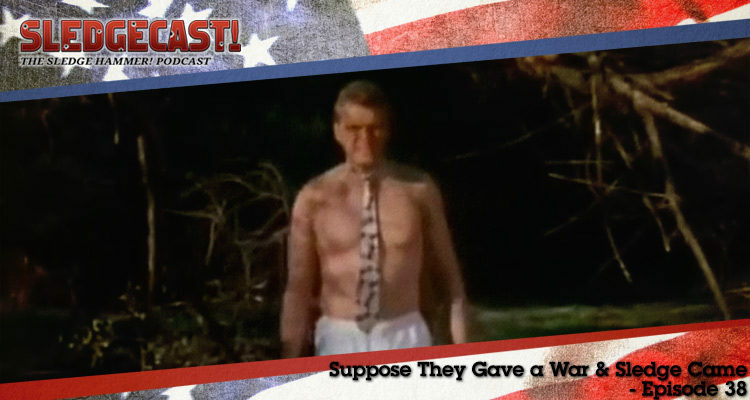 In this podcast Gerry and Iain look at one of the worst attempts at tail covering in television history. 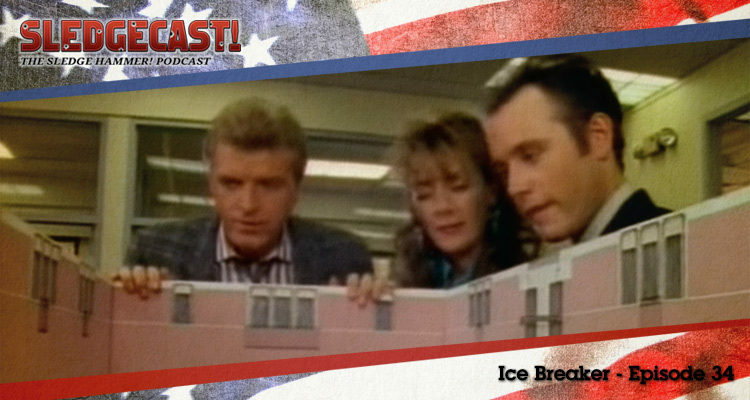 The thirty fourth episode of Sledge Hammer was titled Ice Breaker and was the twelfth episode of the show’s second season. An Interpol agent requests help securing a venue for the visit of a prominent archbishop. 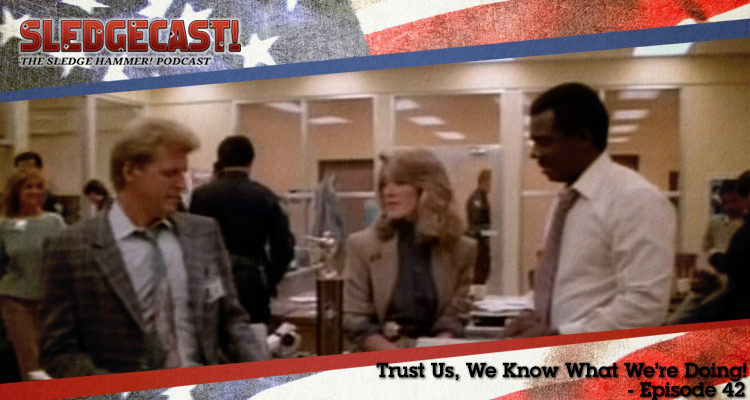 In this podcast Gerry and Iain look at Sledge’s ability to stand and deliver.